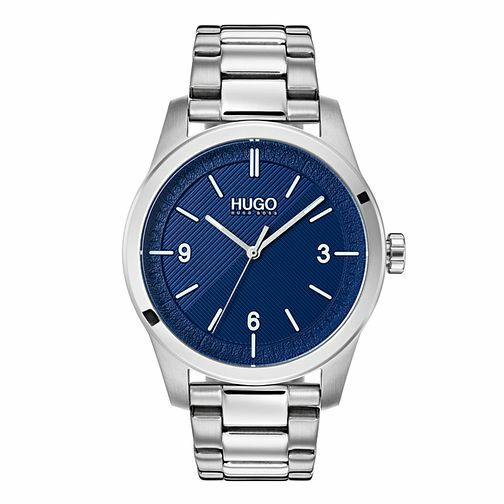 This classic HUGO CREATE watch, features a stainless steel bracelet and a 40mm stainless steel case with blue textured dial. The dial is complete with striking arabic numerals and signature HUGO logo. It is water resistant to 50m and comes with a 2 year international warranty.